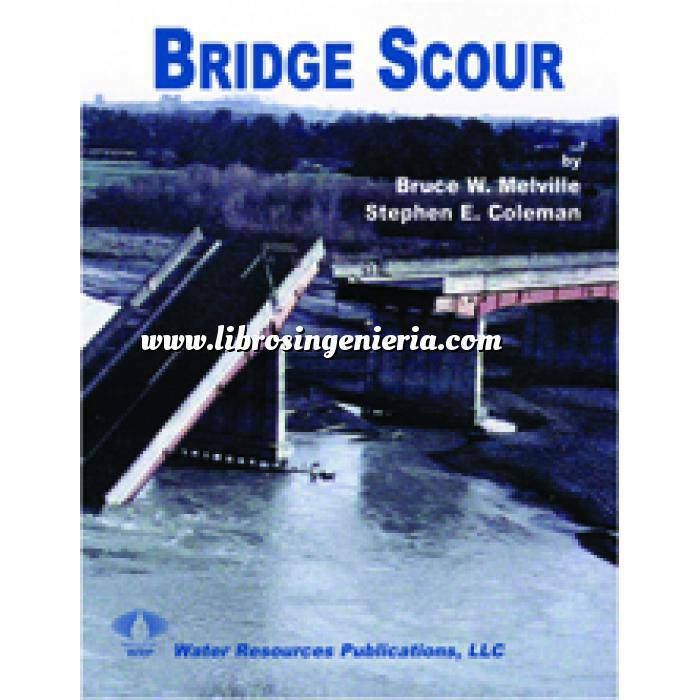 Autor: W. Melville, Bruce,Coleman,Stephen E.
"A comprehensive state-of-the-art treatment of scour and bridge foundations - both a handy reference text and a manual for the practicing bridge designer." The major damage to bridges occurs during floods. Damage is caused for various reasons, the main reason being scour at bridge foundations, namely piers and abutments. This book covers the description of, analysis of, and design for scour at bridge foundations. The central focus is the combination of old and new design methods into a comprehensive methodology for bridge-scour design. The book is based upon an extensive summary of existing research results and design experience, such material not being previously adequately collated. The book serves as both a handy reference text, and also a manual for the practicing bridge designer. Thirty-one detailed case studies of scour-induced bridge failure are presented in Chapter 2 to provide designers with an understanding of processes involved and also cases against which design methodologies can be tested. The data and basic engineering analyses required for bridge scour estimation are discussed in Chapter 3. Detailed descriptions and procedures for estimation of general scour, contraction scour and local scour are given in Chapters 4, 5 and 6, respectively. A summary of the procedures for total scour depth estimation is presented in Chapter 7 in the form of an overall design method for scour analysis. Worked examples are provided in Chapter 8 to illustrate application of the proposed design methodology to a variety of situations, including a number of the presented case studies. Chapter 9 presents principles applicable to scour-resistant design, together with a comprehensive summary of scour protection methods and remedial methods for bridge scour. Appendix II - Shape Factors for Uniform Piers by Various Investigators.